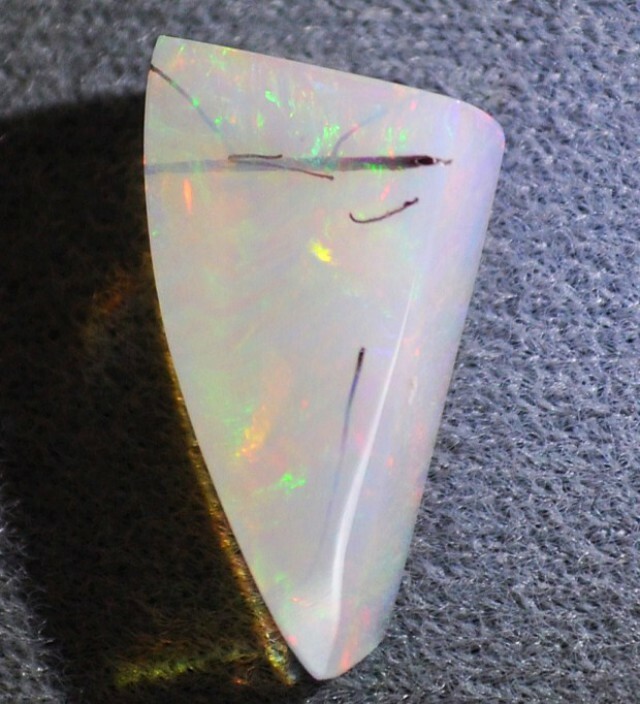 During the formation of Welo crystal opal thirty million years ago in the highlands of Ethiopia, there is a stage where the opal-to-be is a “blob” of semi-liquid silica gel. 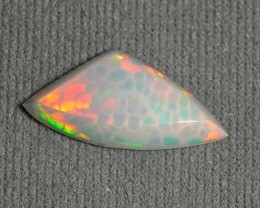 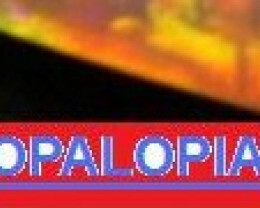 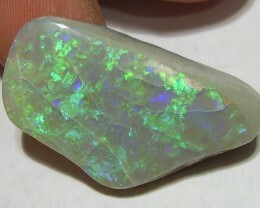 The pocket of gel eventually solidifies and hardens to become a Welo crystal opal. During this formative process a stray bit of vegetative material may be present in the gel. 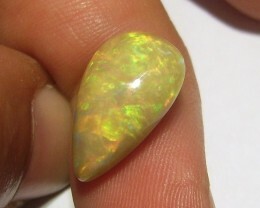 Occasionally this inclusion will become fossilized, becoming a distinctive and integral part of the newly born gleaming opal. 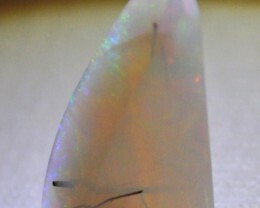 These highly unusual opals may contain stems, thorns and other vegetative material, all extremely ancient and quite rare. 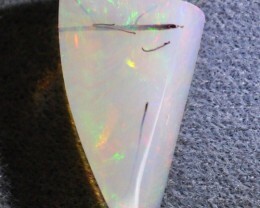 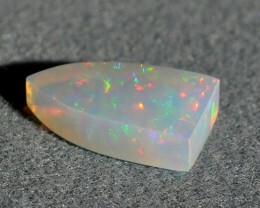 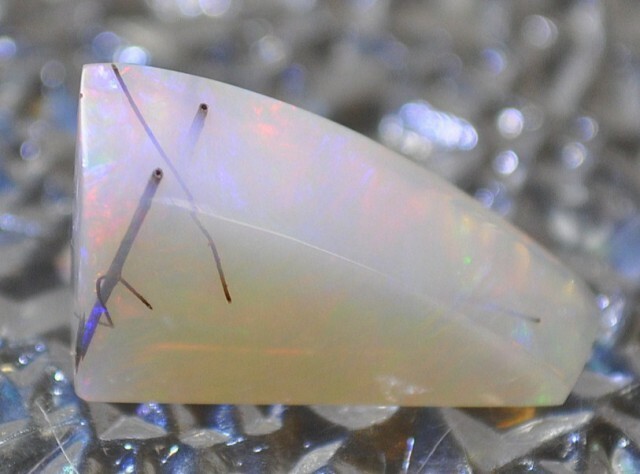 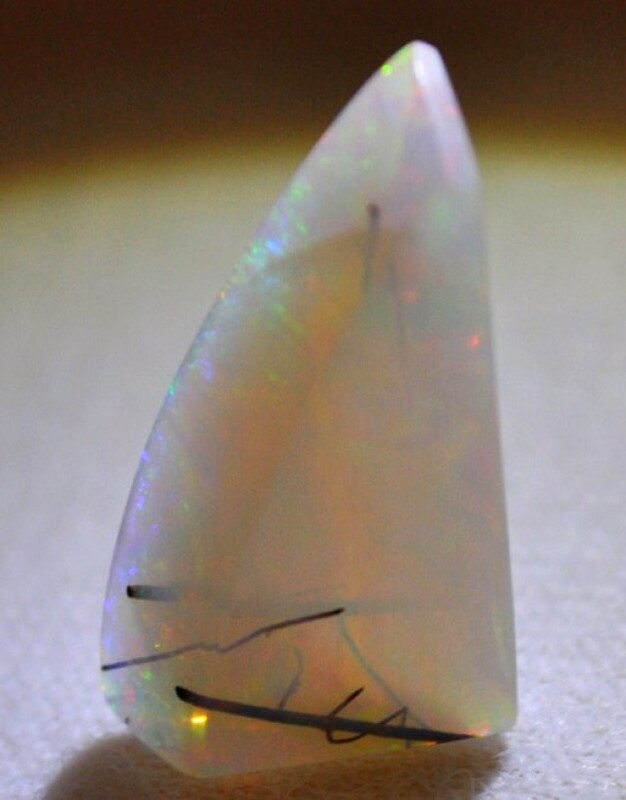 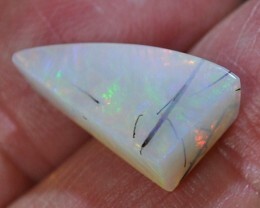 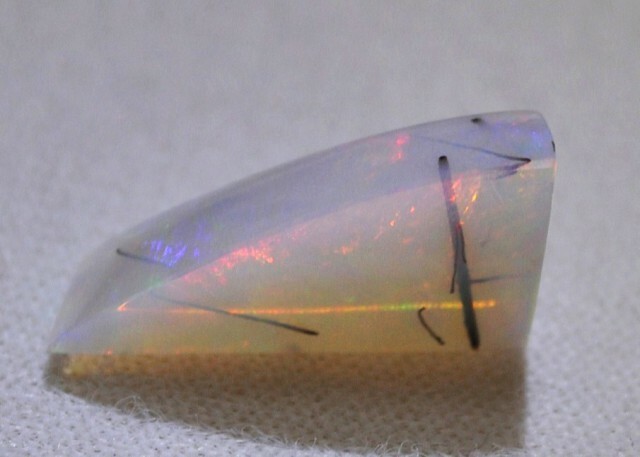 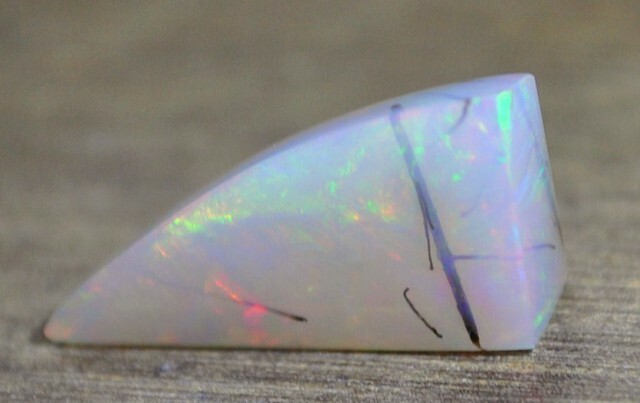 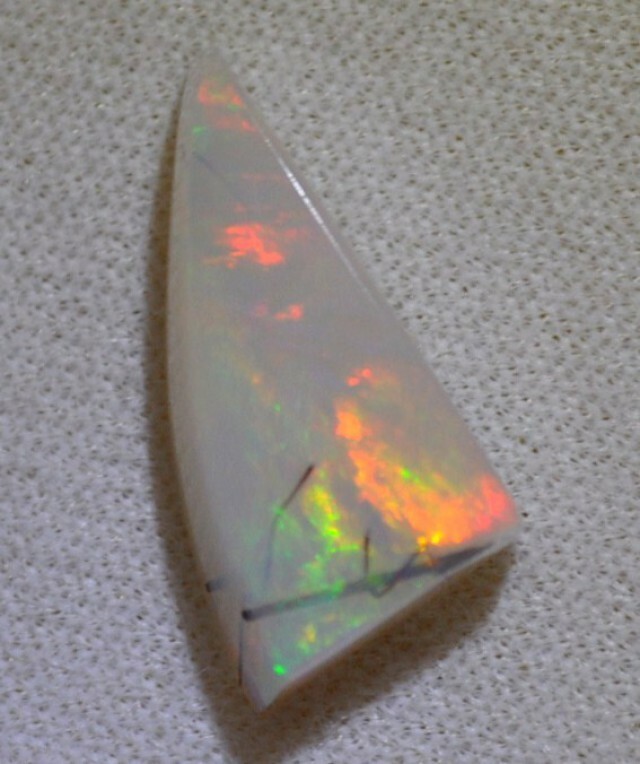 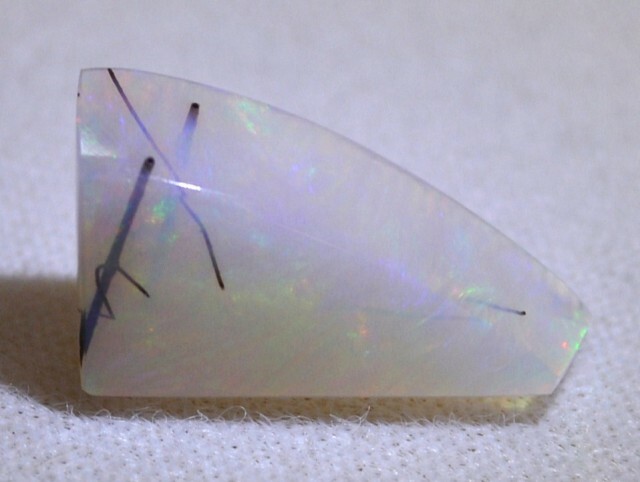 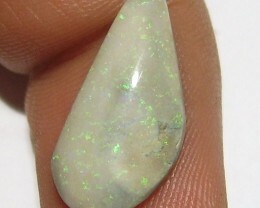 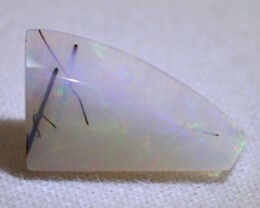 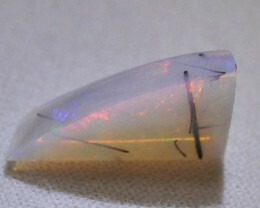 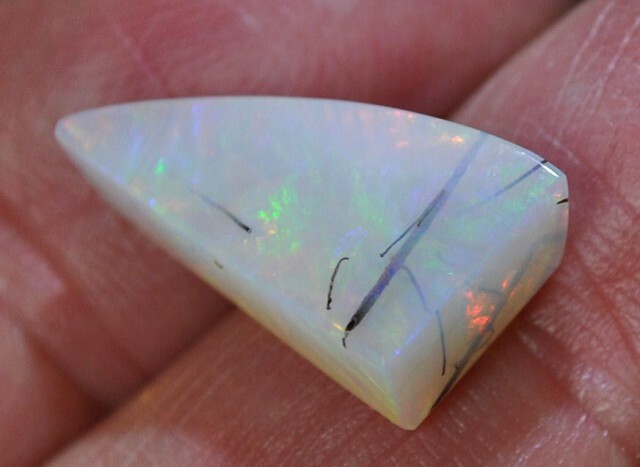 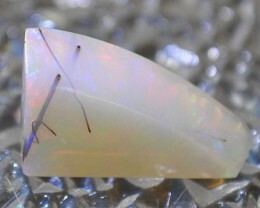 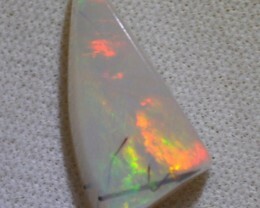 This white based Welo opal is a superb example of this most unusual phenomena. 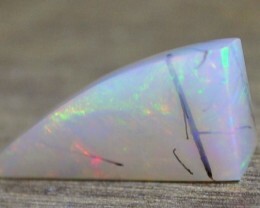 I polished this gem in the usual manner, so it can be used as a unique jewelry piece. 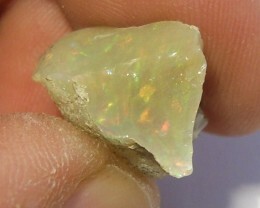 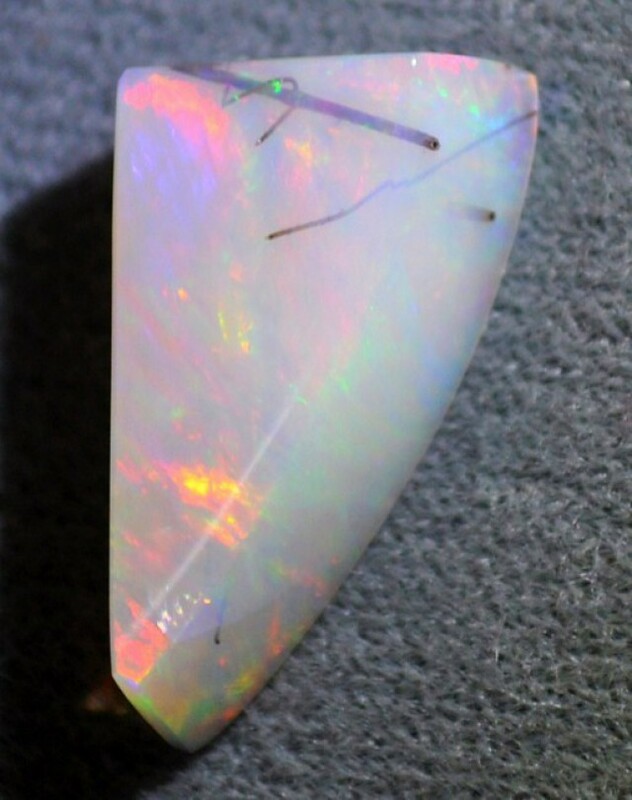 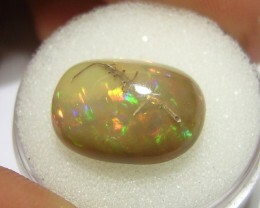 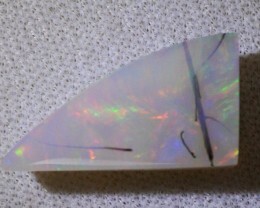 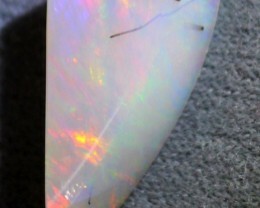 Its major characteristic, however, may be that this miracle of nature is perfect for the collector of rare opals.